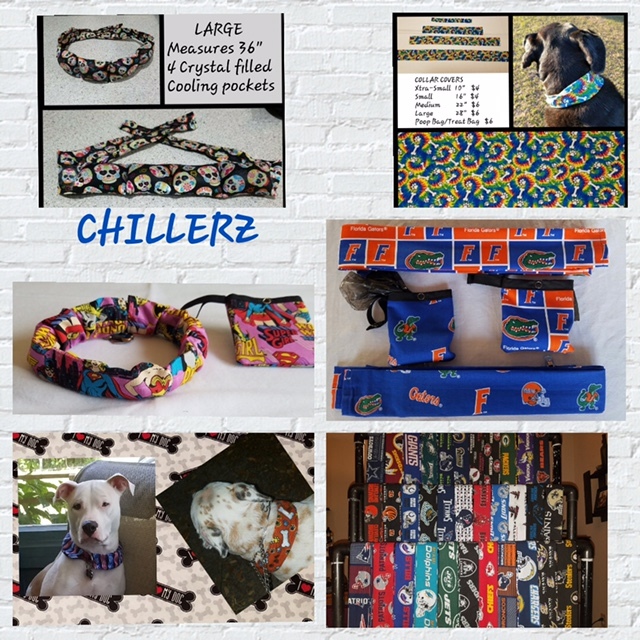 Collars can be expensive, but with the Furrcessories collar covers, people can easily give their dogs a new look to celebrate holidays or special occasions, to promote sports teams, or just to make them pretty. 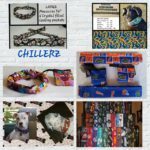 Furrcessories offers over 100 prints to choose from. 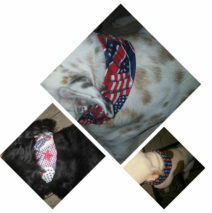 Customers can simply slide the covers over their pets’ existing collars and enjoy their pets’ new decorated look. Furrcessories also has matching poop bags/treat bags that snap onto leashes or belt loops and snap shut to hold poop bags, treats, or any other item pet parents’ wish to carry. To beat the heat, they also sell CHILLERZ. Made with a non-toxic polymer crystal, customers soak the wraps in water, freeze them, and wrap them around their pets’ neck (or yours!) and cool off. Finally, they also have fleece tied blankets in many different prints and sizes. And check out their Tug of War toys. Stop by and see all of their fun accessories! And don’t forget–special orders are always welcome.